Crossroads has been holding our annual Santa Store event since 2002. To provide this event each year we strive to source gifts for the children to give to their birth families and their other loved ones. The Santa Store event not only allows children the opportunity to be just happy kids, but also gives the children a great sense of community. The 2017 Santa Store event provided the opportunity for 173 children to shop for their families and loved ones, to have pictures with Santa, and be a little silly at our fun photo booth. 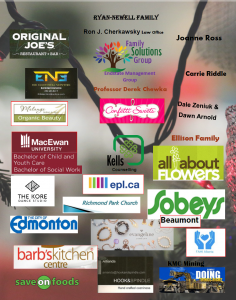 Without our sponsors we would not be able to put on this special event! It is definitely what our kids look most forward to every year! Thank you for your continued support. We hope that our volunteers enjoyed seeing all of the smiles on the children faces as they pushed their pint sized carts to the wrapping tables. 2018 will be Crossroads 20th anniversary and we are hoping to make our Santa Store the best yet!